Northern Ontario is home to some of Canada’s most beautiful lakefronts and beaches. In the Town of Charlton, where Long Lake ends, there is a spectacular public beach area. The beach area includes washrooms, change rooms, a playground, and a pavilion with picnic tables. Recently, the Municipality of Charlton and Dack has been lucky to receive a grant from the Ontario Trillium Foundation for upgrades to our Municipal Beach. You can find a new dock, new picnic tables and benches, outdoor exercise equipment and renovations to the buildings and facilities! For more information on the Ontario Trillium Foundation click here. Our Marina, newly built in 2017, offers twelve slips with electricity for every type of boat. 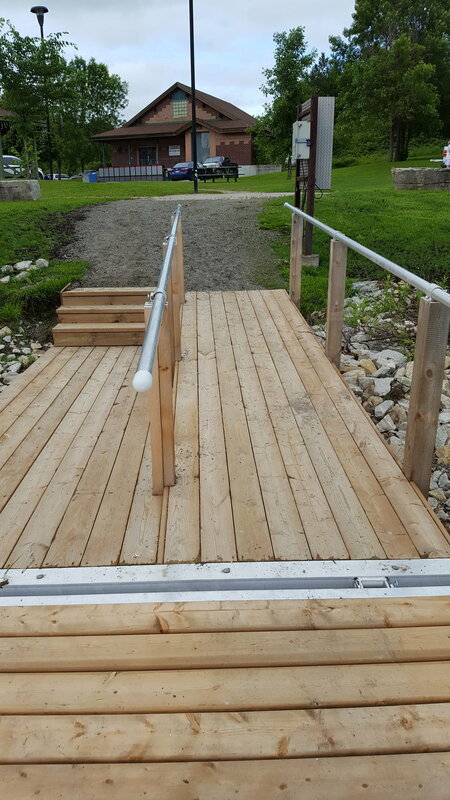 This marina was made possible through generous funding by the Frog's Breath Foundation, the Government of Canada through the Gas Tax Foundation and Canada 150, and TransCanada Pipelines. 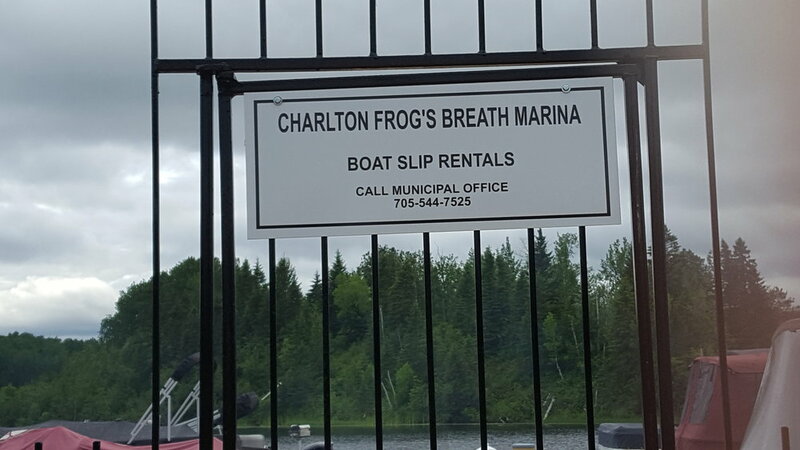 As the Frog's Breath Foundation has continued to show support to our community Council has named the marina the Charlton Frog's Breath Marina in their honour. To book your boat slip call the municipal office at 705-544-7525. 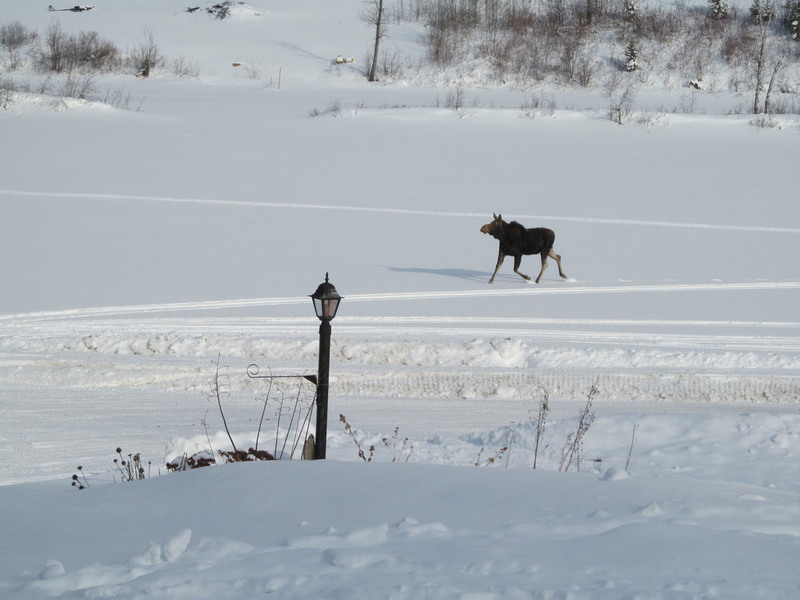 Cross-country skiing is a great way to experience the natural scenery of Northern Ontario. Locals and visitors take advantage of the miles of scenic trails through Kap-Kig-Iwan Provincial Park. Cross-country skiing is a relaxing cardiovascular exercise. The Englehart Nordic Ski Club is a way to participate in cross-country skiing, meet new people and stay fit. The ski club offers 12 km of groomed cross-country ski trails running through Kap-Kig-Iwan Provincial Park. Many use the trails for walking and bird watching as well. Enjoy skating to music on skating rink! The rink is located on Newton St., behind Marie’s Market, in Charlton. 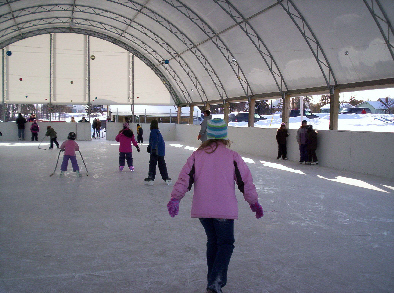 Throughout the year, the recreation committee uses the rink area to host various community events. During the summer, the rink area is used for roller blading, skateboarding, community yard sales, dances and our children’s program. 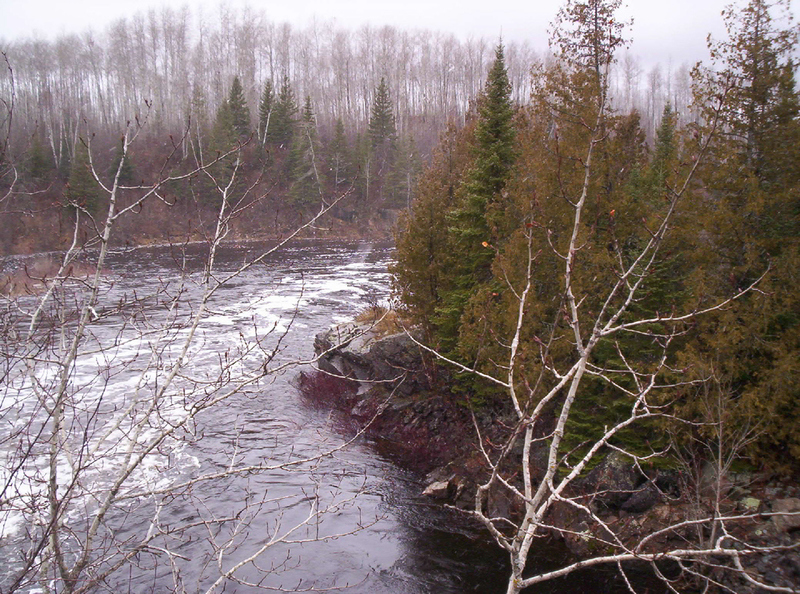 The area is known for having an abundance of fish (pickerel, brook trout, lake trout, rainbow trout, sturgeon, small mouth bass, northern pike, or perch). There are plenty of lakes to choose from. Come in the summer and launch your boat, fish from the stream, or come in the winter and enjoy the exhilaration of ice fishing. Please contact the local MNR office for details on licenses and registrations. This area is ideal for hunting and there are plenty of facilities and accommodations to meet the needs of game hunters. There is plenty of grouse and larger game (deer, moose, and bear). Our area also features some great scenery for hikers. Visitors from all over Canada and the United States visit the area in the fall season for hunting trips. Northeastern Ontario has the best winter conditions for snowmobile enthusiasts There are plenty of trails to explore in Charlton/Dack and neighboring townships. The trails provide scenery for those who like to go slow and an adventure for those who live a little faster. 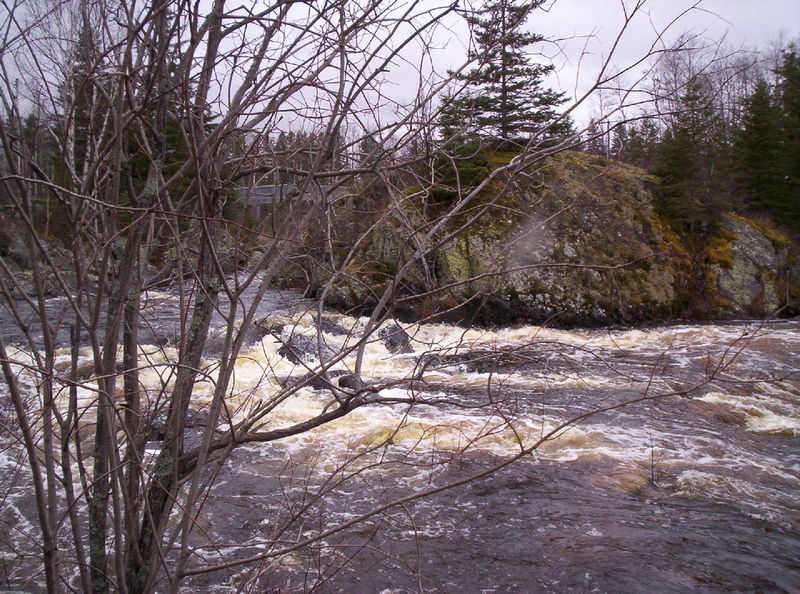 Kap-Kig-Iwan is over 800 acres of natural scenery, rapids, trees and wildlife. It is perfect for nature enthusiasts or those looking to relax. 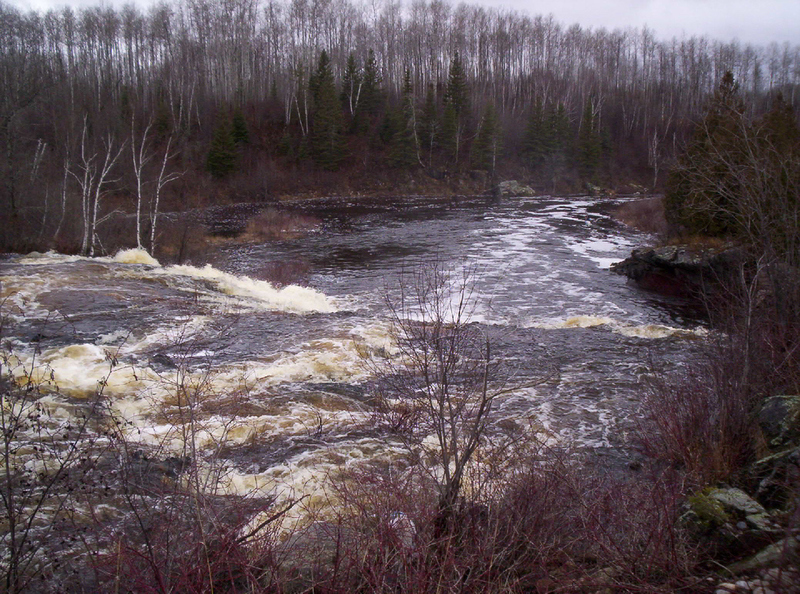 High Falls is the main attraction of Kap-Kig-Iwan; the Englehart River leads into the park through a series of white water rapids and over a waterfall. 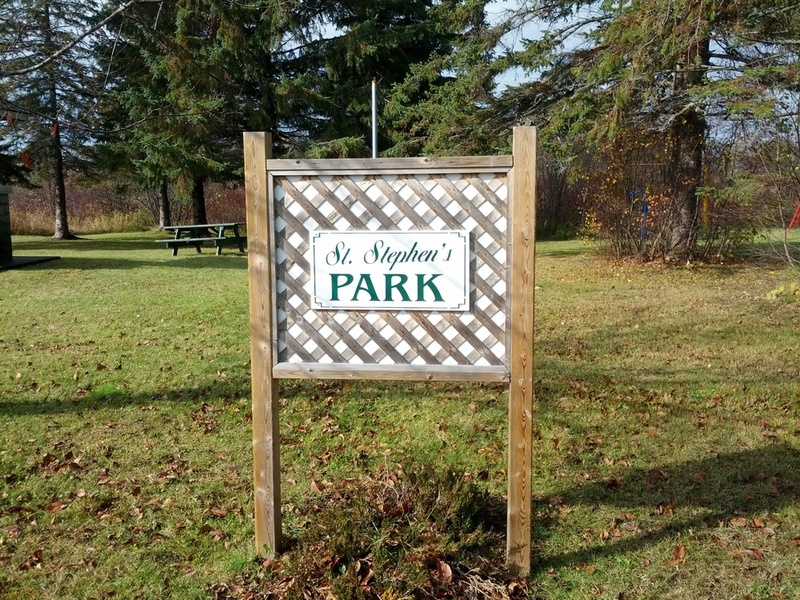 The park is located on the northern edge of the Little Clay Belt (one of the richest farming areas in Canada) and is within the Boreal Forest. Its aspen, birch and red and white pine grow alongside white elm and black ash (species normally found in the Great Lakes- St. Lawrence Lowlands). There are three trails in the park, which are used all year for hiking, walking or cross-country skiing. Come explore over 100 years of history at the Charlton Heritage Centre! Charlton’s Heritage Centre is one of the oldest buildings in town with a unique heritage of its own. 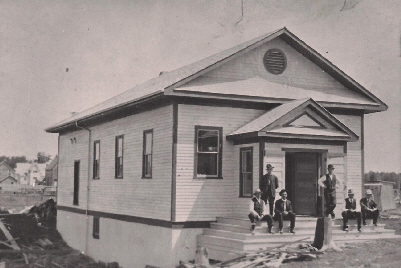 It was built in 1909 to serve as Dack’s town hall, courthouse and jail. It is open during the summer months and still has its original jail cells and box stove. 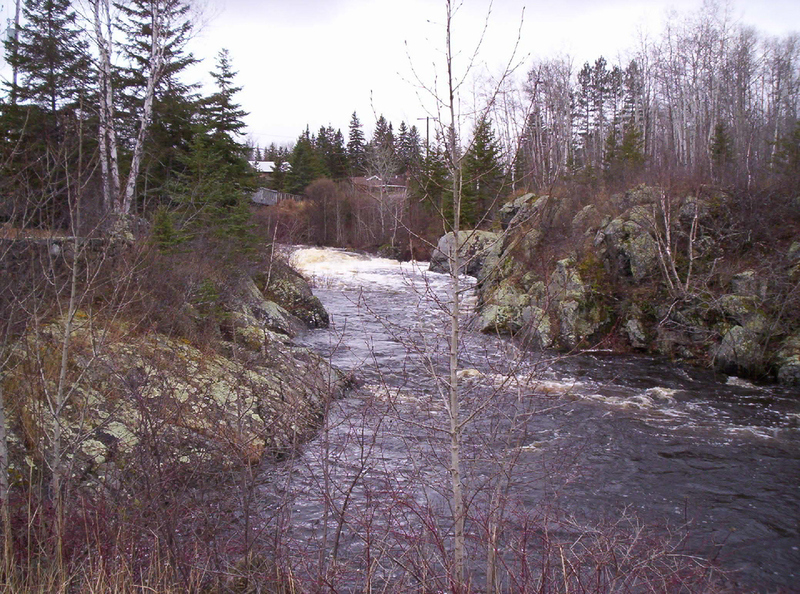 Hill’s Lake Fish Culture Station is located just outside of the municipality, and is among many of The Ministry of Natural Resources’ fish hatcheries. Hill’s Lake produces eggs, fingerlings and fish for stocking the lakes and rivers. Many different types of fish are produced at Hill’s Lake, including, brook trout, splake, rainbow trout, and sometimes pickerel and walleye. Visitors are welcome to visit the hatchery, but are asked to call in advance. Guided group tours are available, which includes a guided explanation of the hatchery, a chance to feed the fish and a slideshow presentation. Large groups must call at least two weeks in advance to book their guided tour. Each fall the Charlton Agricultural Society hosts a fair, in which the whole community celebrates the years harvest. The fair is family orientated and provides loads of activities for children, including the “Teddy Bear Picnic” and the “Prince and Princess of the Pumpkin Patch.” The fair consists of livestock and agricultural contests. The Fall Fair represents a tradition that has lasted over 100 years. This fall come be part of the fun! There are 4 community parks in Charlton and Dack. The playgrounds in Janet Saunders Park, Kevin Park and the beach have been recently updated with new equipment. Blackbridge Pioneer Park is located along the shoreline offering an amazing view of the lake as well as charcoal barbecues, limestone tables, a waterball fountain and a gazebo. Blackbridge Pioneer Park is a great place for a family picnic and is only minutes from the municipal beach. There is something for everyone to enjoy along the shore, swimming, canoeing, boating, beach volleyball or just relaxing by the water. Each June the Charlton Legion hosts an annual fish derby on Long Lake. There are always great prizes to be won. Held each August at the Englehart Community Complex. Each July you are welcomed to the Charlton Fair Grounds for the annual Mud Bog. Visit the Englehart and Area Historical Museum webpage for more information: Click here.